I'm a massive Spotify fan, I think it's great and I especially love the pre-made lists because Spotify puts them together so well. I'm also one of those people who can't stand to be in silence, even when reading so here are three of my go to playlists I listen to when reading. This playlist is great for when you are chilling out and having a lazy morning, or grabbing your regular cup of coffee and reading a book. This playlist is full of relaxed pop songs, with quite a few of the songs being acoustic covers too. Where the songs are all so chilled it makes perfect background noise whilst reading as there won't be anything too distracting on there. It's also incredibly upbeat and I always find myself in a good mood after listening to this playlist. I'll take a lazy Sunday morning in bed with a vanilla soy latte and a good contemporary YA novel with this playlist please! 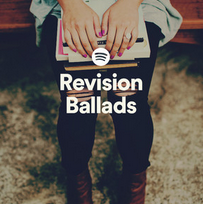 I love this playlist for pretty much any occasion, not just reading. It's full of very upbeat, happy pop songs (surprise surprise!). I do find myself singing along with certain songs though so probably not the best playlist to listen to if you are reading something very serious that requires a lot of concentration, but if the sun is shinning and you are feeling good, this playlist will make you feel even better. 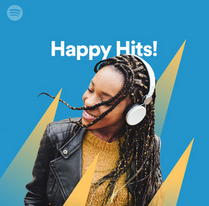 For this playlist I would like to be in the sun, besides the pool, preferably with a frozen cocktail and a cheesy romance novel, or some YA with a great heroic character. If being by the pool isn't possible I'll settle for being outside in the garden. I am a huge believer in turning off gadgets at least 30 minutes before going to bed to help you sleep better and I like to try and read during this time to help me switch off and this playlist is perfect for helping me relax before bed. This playlist is made up of entirely instrumental music, the majority of which are from movie soundtracks based on a book. 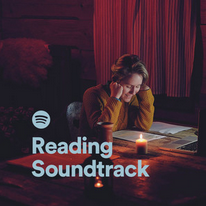 It creates a great atmosphere for reading as none of the songs are distracting and it's incredibly peaceful to listen to. Ideally I would like to be tucked up into bed listening to this playlist with any type of book. Maybe some hot chocolate if I'm feeling fancy, followed by a good nights sleep. There are countless other playlists on Spotify too, but these are my true tried and tested ones. If you listen to them I hope you enjoy them as much as I do! Do you have any playlist recommendations for me to check out? Or any albums you particularly love to listen to when reading? Or are you more of the silent reader type?